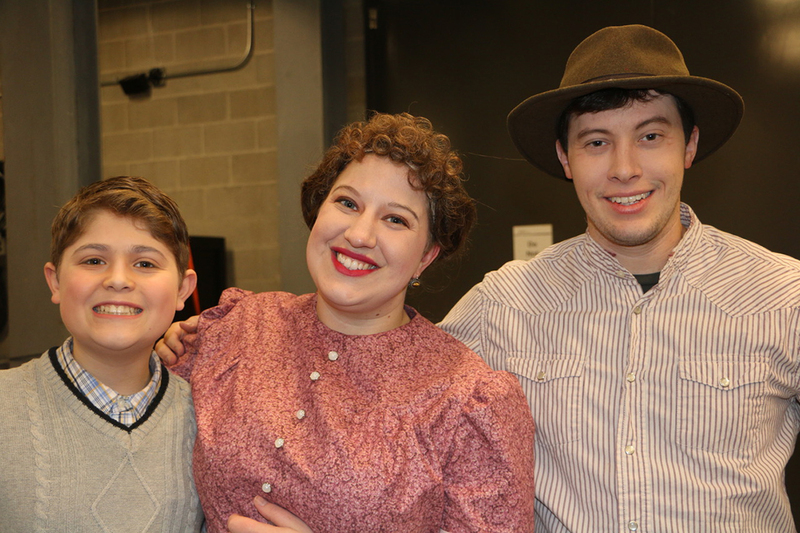 From left, Boyce (Carmel), Kelsey VanVoorst (Carmel) and Colby Rison (Carmel) backstage on opening night. 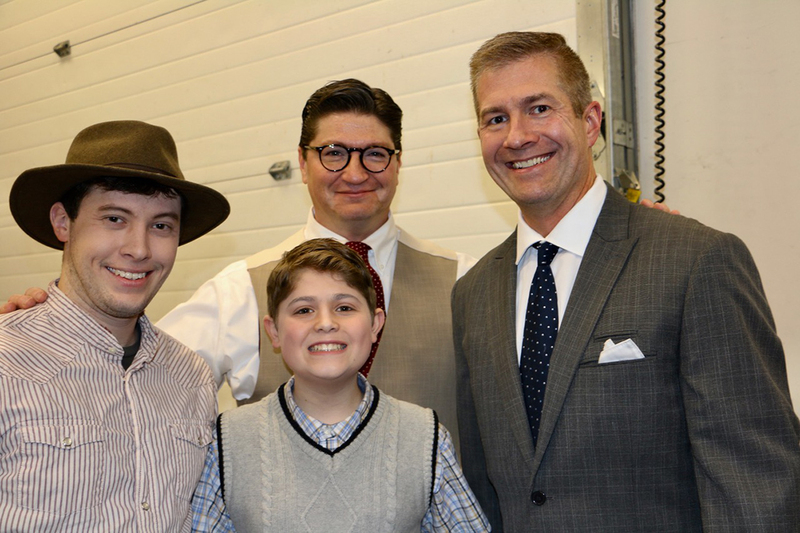 From left, “To Kill a Mockingbird” cast members Colby Rison (Carmel), Ben Boyce (Carmel), Steve Kruze (Plainfield) and Jason A. Plake (Carmel) backstage on opening night. 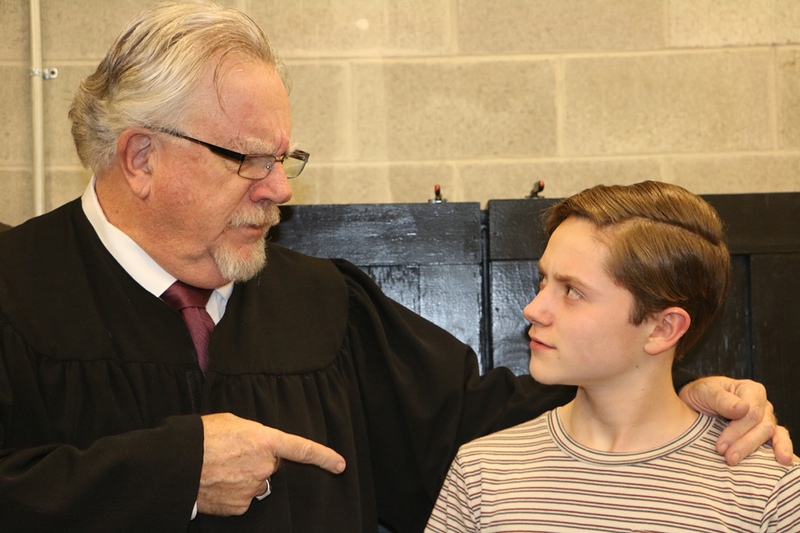 Tom Smith (Westfield), who plays a judge, gives advice to actor Dalyn Stewart (Indianapolis) backstage at “To Kill a Mockingbird. 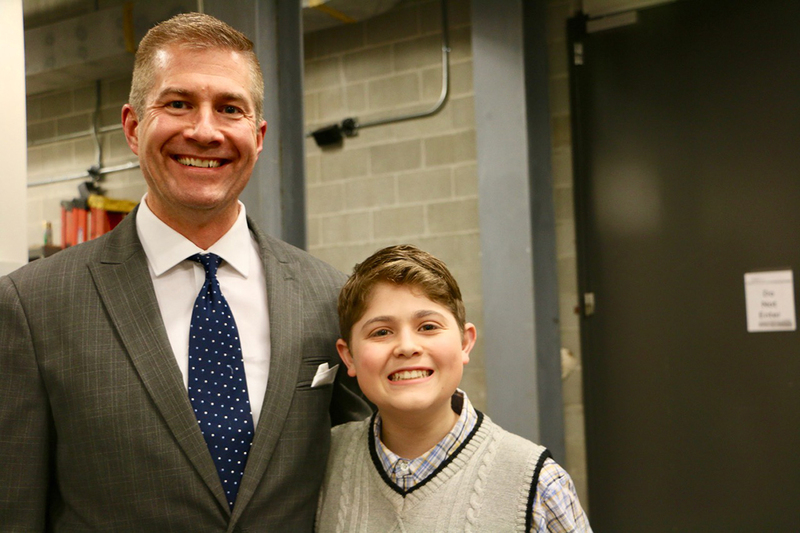 Jason A. Plake (Carmel), left, and Ben Boyce (Carmel) backstage on opening night. 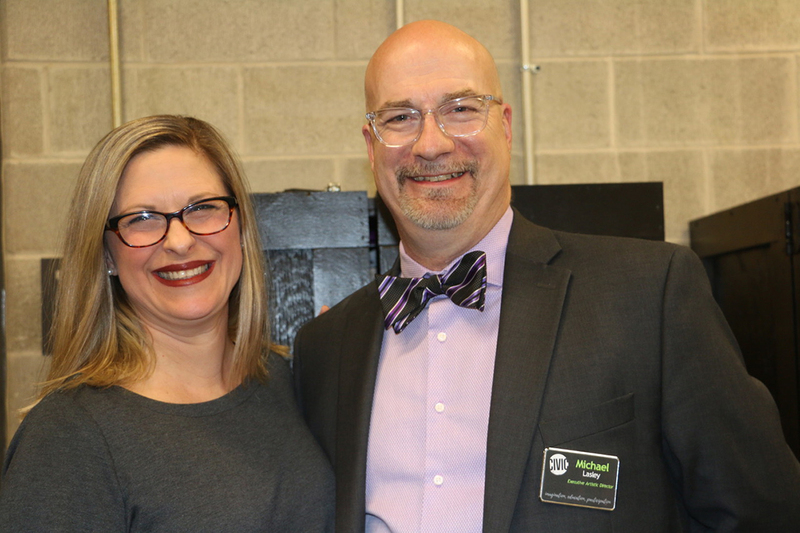 Director Emily Rogge Tzucker (Carmel) and Civic Theatre Executive Artistic Director Michael Lasley (Indianapolis) prepare for “To Kill a Mockingbird" on opening night. 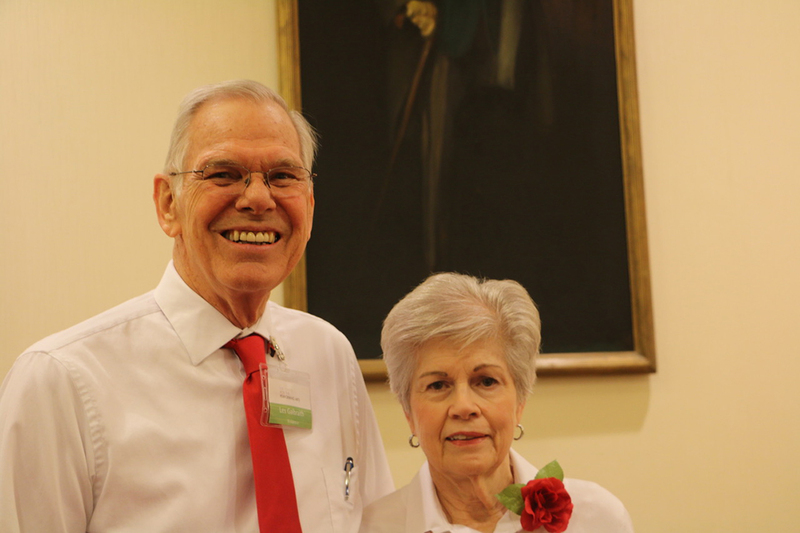 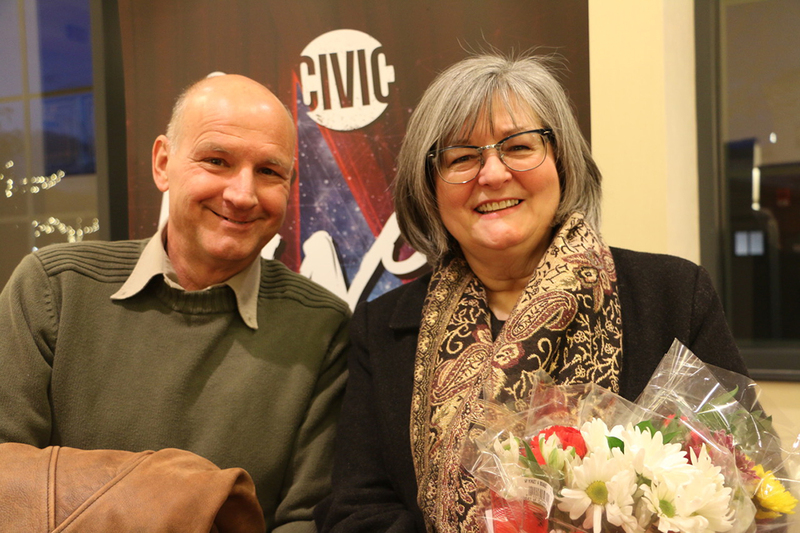 Mike Mellott (Noblesville) and Susan Hill (Noblesville) brought flowers to their favorite Civic Theatre actors on opening night. 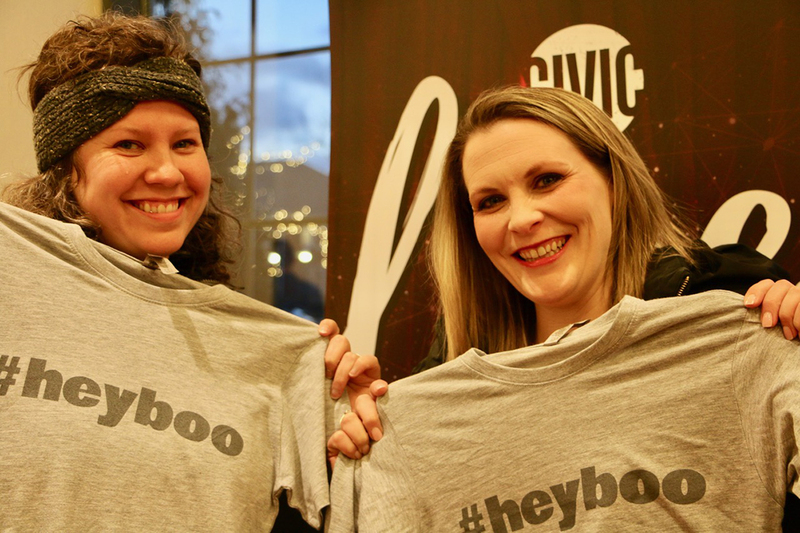 Micaya Koharchik (Zionsville) and Allison Gibbs (Indianapolis) pose with Civic’s ‘#heyboo’ merchandise. 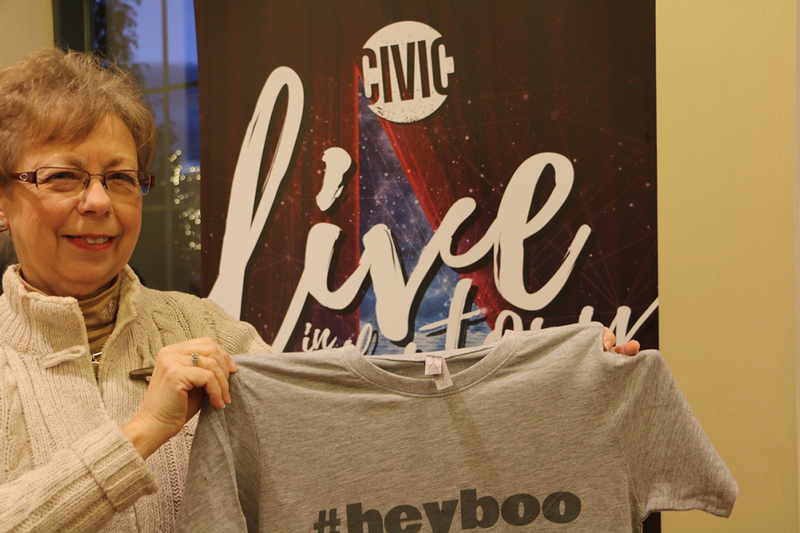 Mary Beth Lippold (Geist) poses with Civic's ‘#heyboo’ merchandise and gave “To Kill a Mockingbird” two thumbs-up. 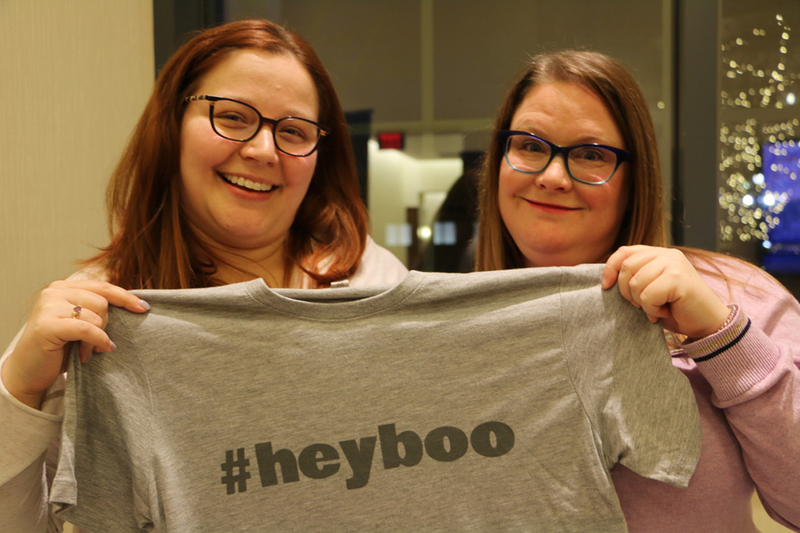 Civic Theatre staff members Karaline Feller (Carmel) and Melissa Hook (Carmel) sporting the new ‘#heyboo’ merchandise available for purchase at “To Kill a Mockingbird” performances. 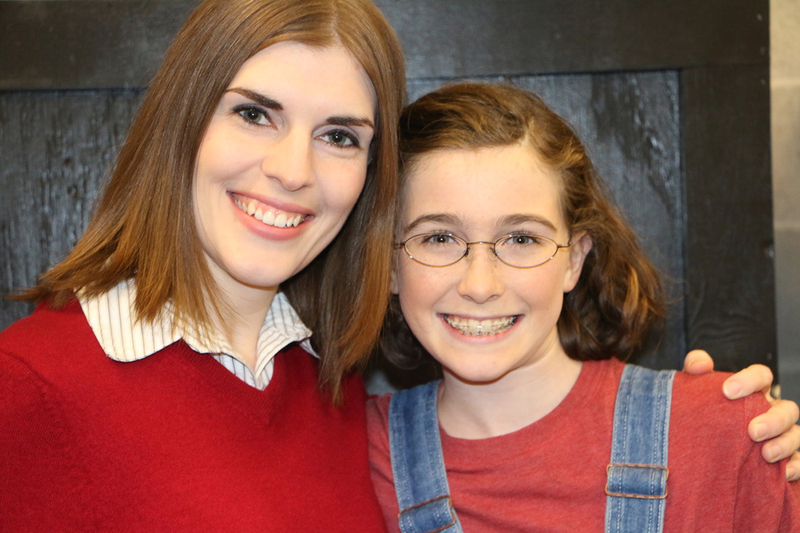 Where’s Amy went backstage on opening night Feb. 8 and met local cast members of all ages at Civic Theatre’s “To Kill a Mockingbird.” The production was amazing and one of Civic’s best productions. 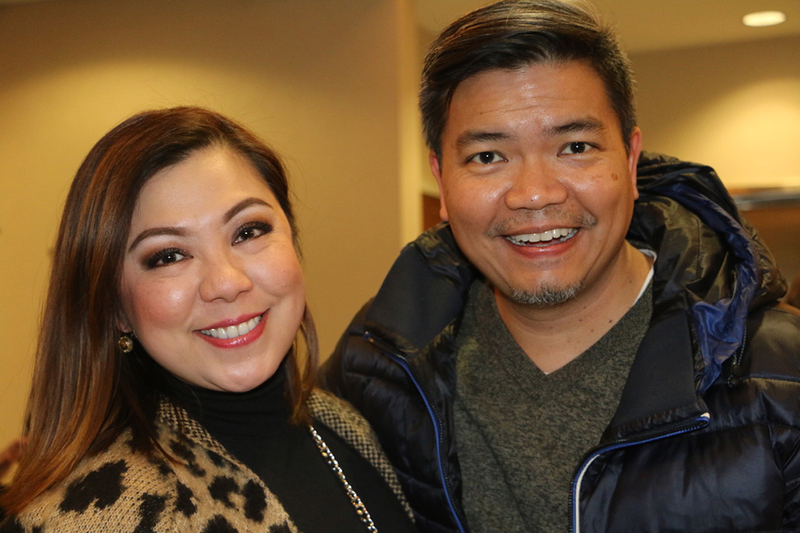 Do not miss this show, which runs through Feb, 23. 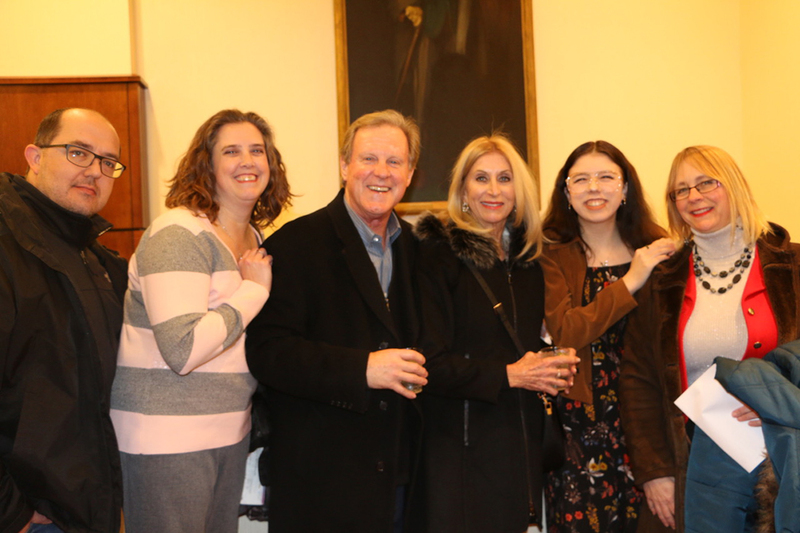 Be sure to get tickets for “The Importance of Being Earnest” March 22 to April 6 at civictheatre.org. 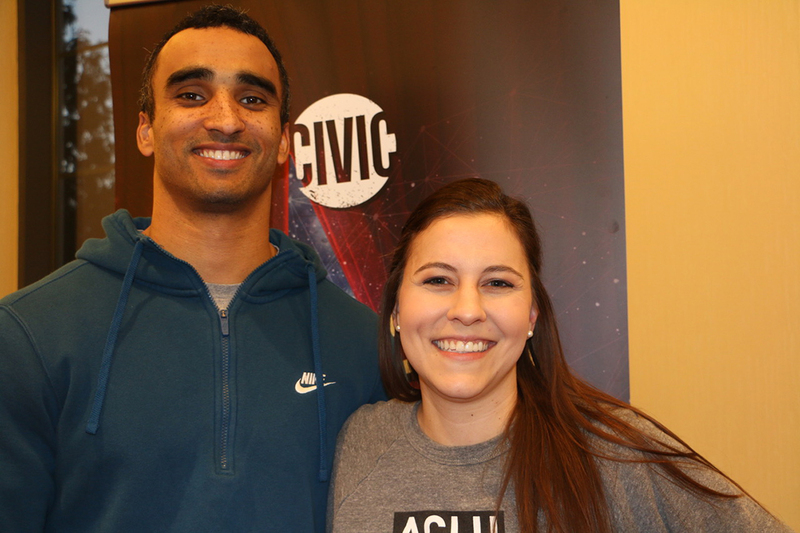 Where’s Amy can’t wait to see you there.